Monkey Tree Photography: Sweet Kendall! 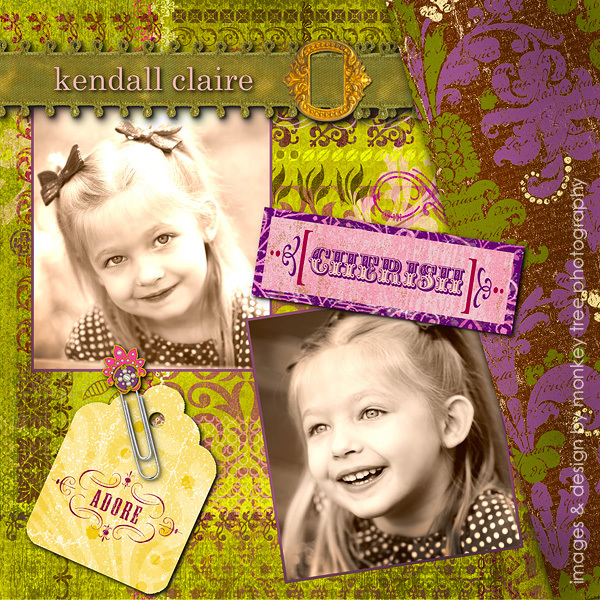 I've gotten my hands on a new set of papers and embellishments for creating cute layouts (like the one in the previous blog), and since Kendall is one of my favorite mini-BFF's, I decided to play around with some of the images from her recent portrait session. Voila! 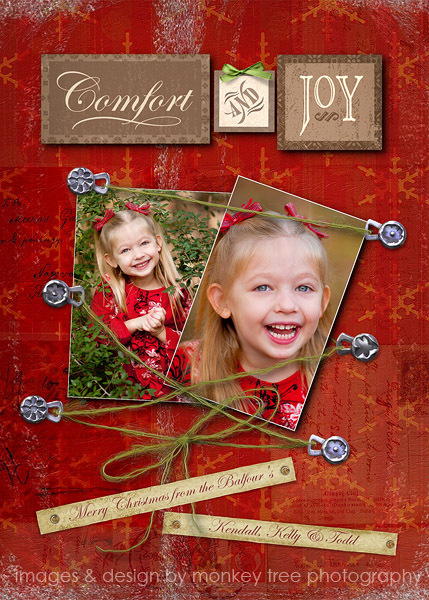 Christmas card and a sweet little framable collage for her Mommy. I cannot believe how big this little lady is getting... She's becoming more and more articulate and expressive every time I see her these days.